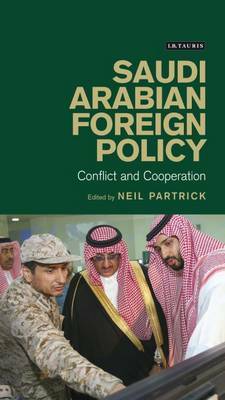 Neil Partrick is lead contributor, co-ordinator and editor of ​Saudi Arabian Foreign Policy: Conflict & Cooperation, published by IB Tauris in 2016. The second (revised, paperback) edition was published in April 2018. I decided to produce this book because of the huge vacuum in literature on Saudi Arabia’s foreign relations. 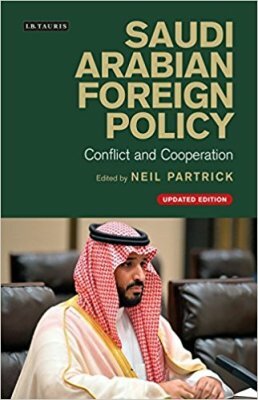 Prior to the publication of Saudi Arabian Foreign Policy: Conflict & Cooperation, no other published book in English (or Arabic) had provided a comprehensive account of the country’s relations across all four continents and offered a largely country-focused analysis of those relations. I wrote 13 of the 21 chapters. The other contributors are Mohd Fauzi Abu Hussin, Mohd Afandi Salleh, Mohammed El-Katiri, Mark Katz, Yon Machmudi, Robert Mason, Menno Preuschaft, Neil Quilliam, Rene Rieger, Harry Verhoeven and Eckart Woertz. There are three introductory chapters: Drivers of Foreign Policy, Islam and Foreign Policy, and Energy and Foreign Relations. These are followed by individual chapters on Saudi Arabia's relations with the USA, Europe, Egypt, the GCC, Indonesia, Iran, Iraq, Israel/Palestine, Jordan, the Maghreb, Malaysia, Russia, and Syria/Lebanon, Turkey, east Asia, south Asia, and east Africa. 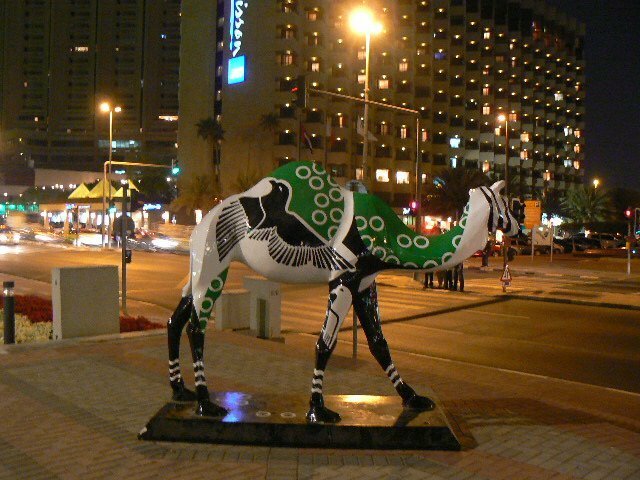 Saudi Arabian Foreign Policy, is aimed at the general reader of Middle Eastern politics, or journalists or researchers eager to improve their understanding of Saudi Arabia and its approach to foreign relations. Equally, students of IR, international politics or area studies will find this a useful guide through the maze of a complex country’s complex foreign relations. As a well-written, insightful and deeply analytical endeavour, Partrick's book can and should be considered the seminal text on Saudi foreign policy. Ben Rich, "The Interpreter", Lowy Institute, December 6, 2016 . The above quote was taken from a review by Saudi scholar, Dr Ben Rich, of Curtin University, Perth in December 2016. You can read the whole review by clicking on the link above. Terrific as a reference and also a good read. Michele Dunne, head of Carnegie’s Middle East Department and ex-NSC and State senior staffer. It fills a yawning gap in the literature on the strategic equation in the Middle East and in terms of Saudi foreign policy in particular. The book is terrific and we owe Mr Partrick a big debt of gratitude. Middle Eastern scholar, Hussein Ibish introducing the book at its US launch at the AGSIW in Washington, March 2016. Video of full presentation and discussion. Arab Gulf Studies Instititute Washington (AGSIW) March 2016. The book was reviewed by Dr Gerd Nonneman in the June 2017 edition of the Journal of Arabian Studies . In what is, overall, a very positive assessment, Dr Nonneman said that the book "...offers the sort of detailed survey and assessment of bilateral relations between the Kingdom and key players in the regional and global system, that has not thus far been available elsewhere. Notable lacunae are Latin America and Africa (other than the Horn), but also more systemic/thematic foreign policy foci..." However, he stressed that what is in the book is "[d]etailed, well-sourced, balanced information and comment, (that) should be extremely useful for policy makers, journalists or more academically oriented readers." He added that the "[A]nalysis is underpinned by a balanced appreciation of the limits and challenges, alongside the tools and room for manoeuvre, characterising Saudi Arabia’s evolving foreign policy universe.The brief background to, and often first-hand detail on the recent content of the bilateral relationships depicted, will usefully feed into any future work on Saudi foreign policy." Subscribers to the Journal of Arabian Studies can read the whole review via the link above. The first page of the review is freely accessible. The book was also reviewed in the November 2016 edition of International Affairs by a Chatham House visiting fellow, Dr Kristian Coates Ulrichsen. Members and subscribers of Chatham House (aka the Royal Institute of International Affairs) can read it via link. Dr Simon Mabon reviewed the book in Autumn 2016 for the Washington-based Middle East Institute publication, the Middle East Journal. Subscribers to the MEJ can read his review here. I contested the accuracy of a criticism made by Dr Mabon in his review and the MEJ also published my letter of complaint which can be read here. This document contains the background notes for a powerpoint presentation I gave to the General-Secretariat of the Supreme Council for Planning & Development in Kuwait in January 2018. The notes provide an understanding of the issues I addressed, including problems of political economy, employer and employee attitudes, and of fiscal and other employment incentives. The notes also provide feedback from local Gulf experts, on the challenges of labour market reform. The GCC: Gulf State Integration or Leadership Cooperation? Kuwait Programme on Globalisation, Governance and Development in the Gulf, London School of Economics & Political Science (LSE), October 2009.